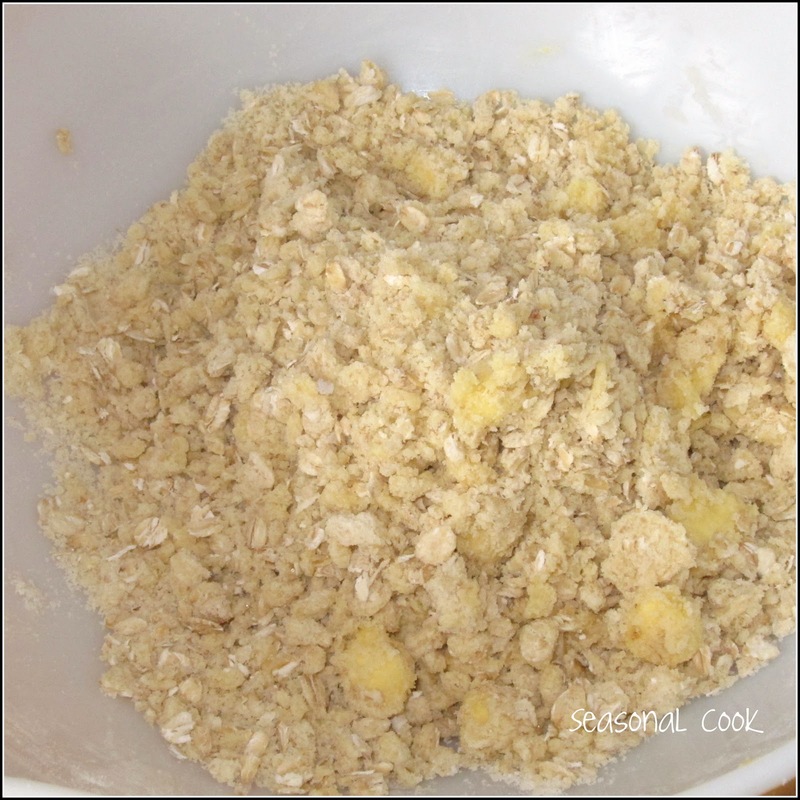 Apple crumble? 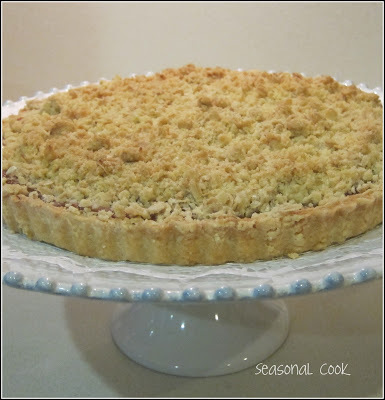 Plum crumble? 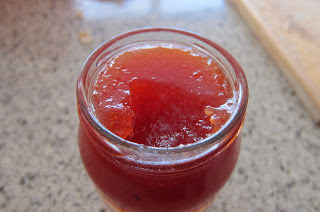 How about an aromatic rich quince crumble then? 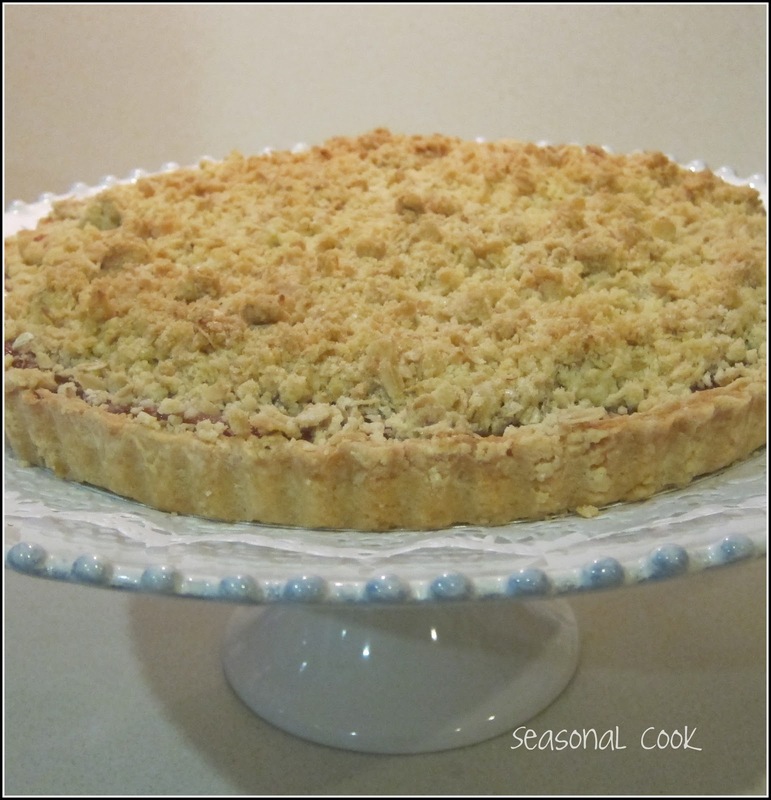 Here’s a familiar concept with a twist – a crumble on a tart base. Here in Turkey you see the ubiquitous ayva tatlısı or quince dessert everywhere in winter, served as it always is with kaymak or buffalo cream. 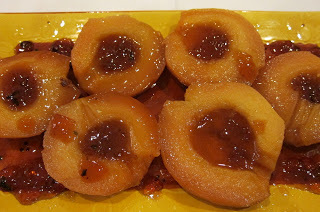 It’s delicious but oh so predictable which is why I pounce on new quince recipes. I asked TT what ekmek ayvası meant and he said it referred to a type that can easily be eaten raw. Literally it means bread quince. I tried it, it can! Always read a new recipe through to make sure you understand the steps and that you have all the ingredients. How often have I been caught out because I didn’t do exactly that! Cooking isn’t difficult if you are prepared and have the right equipment to hand. If a recipe calls for eggs, take them out of the fridge beforehand to come to room temperature. Same with butter. Making a crumble topping is easy and more to the point, quick. Making pastry is also not difficult but I know that not everybody thinks that way. All it needs is for somebody to show you and then to persevere and make some yourself. Once you know how, you are all set and a vast array of culinary delights,both sweet and savoury, opens up before you! Quinces are a bit of a chore to peel but the reward is that they cook easily and become a sweet aromatic soft mass with no trouble at all. 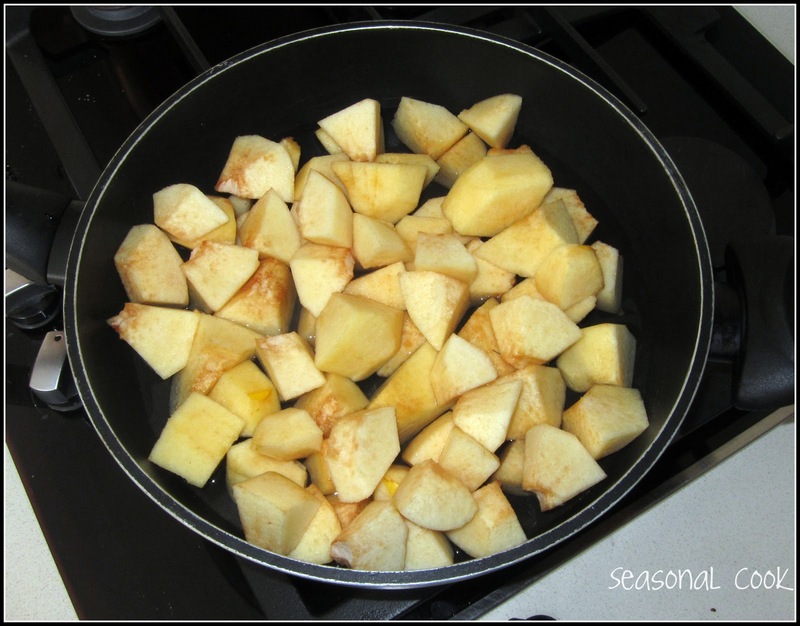 Use your potato peeler and it will simplify the task! 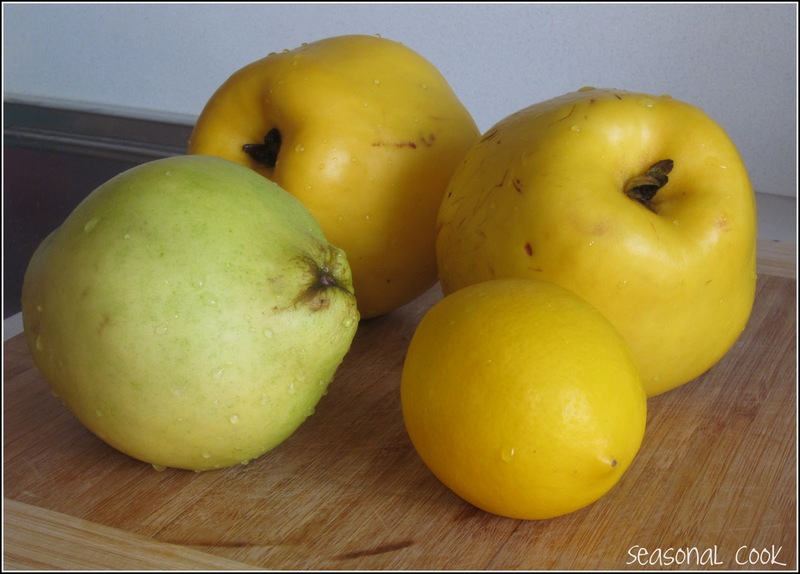 · To make the quince purée, put the quinces into a large pan with 350ml water. Cover with a lid and simmer for 1 hr or until the quinces change colour and are pulpy. Remove from the heat and allow to cool slightly, then whizz with a stick blender until smooth. Pass the quince purée through a sieve into a clean pan and stir in the sugar, lemon zest and juice, and cinnamon. 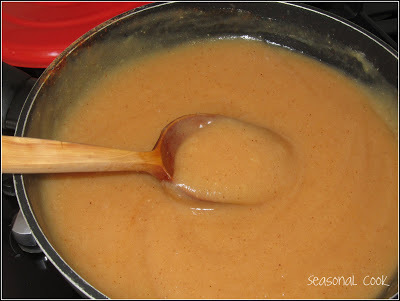 Cook the purée until it is reduced by one-third, then mix the cornflour with a little water and stir into the purée until it’s thick. Remove from the heat and allow to cool. (TIP: I made this purée the day before). 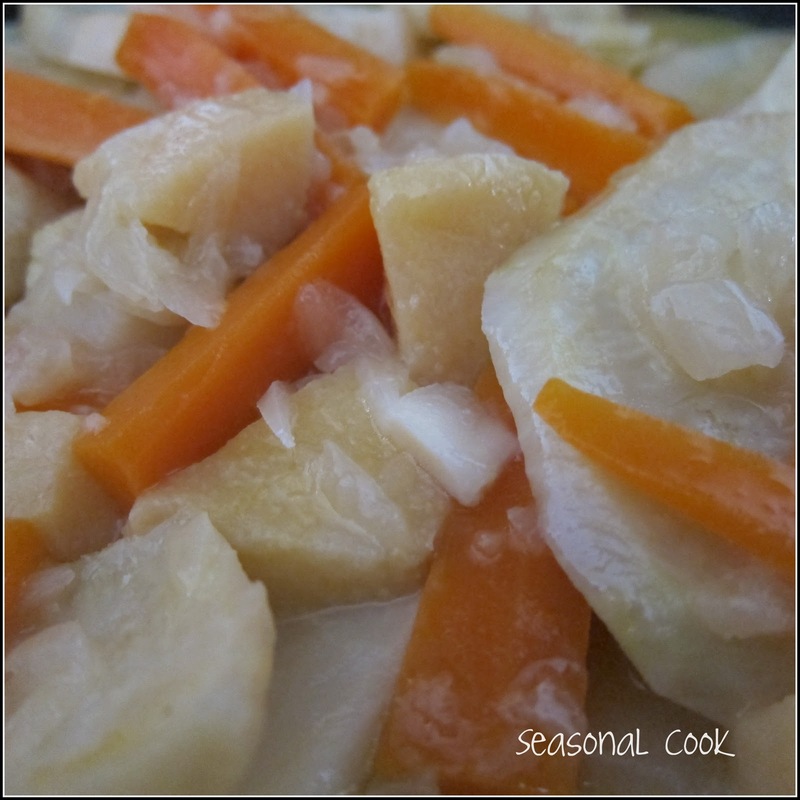 here is the purée in the tin: it’s so easy …. · Heat oven to 160°C/140°C fan/gas 3. To make the pastry, rub the butter into the flour and almonds. Add the sugar and zest, then the egg and the egg yolk. Bring everything together, wrap in cling film and chill for 15 mins. 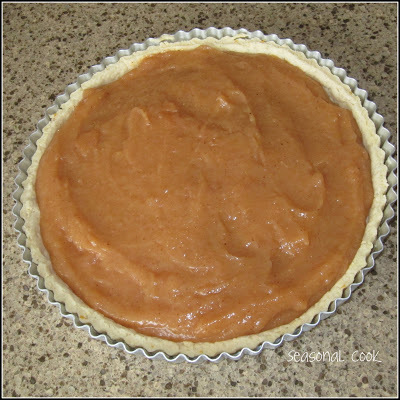 · Remove the pastry from the fridge and knead a bit to smooth. Roll it out on a lightly floured surface to line a 22cm tart tin. Place in the tin, trim the edges of the pastry if required, and chill for 15 mins. Line the pastry with baking parchment and baking, then bake blind for 20 mins. Remove the beans and paper, then cook for a further 15 mins until the base is biscuity. Remove from the oven and allow to cool slightly. · Increase oven to 180°C/160°C fan/gas 4. Meanwhile, to make the crumble topping, mix the flour, oats and sugar with a pinch of salt, then rub in the butter until you have an uneven crumbly mix. 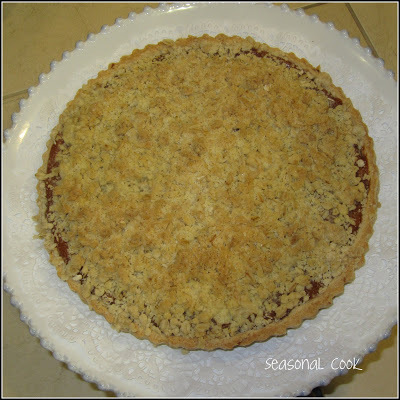 · To assemble the tart, pour the quince purée into the tart shell so it comes just below the top, sprinkle over the crumble topping and cook for 25 – 30 mins or until the crumble is golden and the quince is bubbling around the edges. Serve warm with cream or custard if you like. Previous Post: « It’s Christmas! Mince Pie Time Again ………. 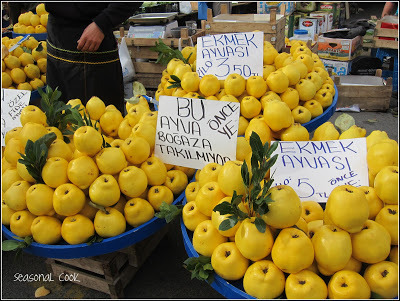 I see quince from time to time in the market but have never tried to do anything with them. Maybe your recipe will be my inspiration to do so.